Helen Nabukwasi has held this position since 2007. She ensures that the WCFJC financial records are in good order. She is instrumental in budgeting, logistical planning and project implementation. Helen also has several years of work experience in customer relations. 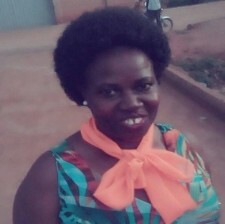 She has a Diploma in Stenography from Uganda College of Commerce Tororo and a Certificate in Computerized Accounting in Quick Books, MS Word and MS Excel from Makerere University Faculty of Computing & IT.